For some of you, that’s not going to be hard. So, the zombies are coming and you’ve got 10 minutes to decide who’s going to do what to defend the group. Everyone’s life depends on your honesty and self-awareness. What’s it going to be? Fighting? Running? Protecting the food supply? Okay, but what does the zombie apocalypse have to do with common interview questions and answers? Besides the fact that they can both be terrifying? You have to know your strengths and weaknesses to survive. And here’s the catch. Many people think they know their personal strengths. It’s a no-brainer. The truth? Few people provide great answers to the most basic interview questions. So, are you sure you know yourself? What an interviewer wants to know when they ask about your strengths. How to answer the "what are your strengths" interview question. Examples of strengths and the best answers for the "what are your strengths" question. What Is the "What Are Your Strengths" Question All About? The "what are your strengths" interview question is a staple. You’re going to get this question, and it’s best if you prepare. That’s because most job seekers don’t answer this question well. And they don’t answer well because they make the mistake of thinking that this question is easy. Okay, it is easy. But it takes some preparation to get it right. What are my strengths? Where do I begin? I’m Superman. I mean look. I take off my glasses - Superman. I put them back on - Clark Kent. You can see it. Yeah, you can! Plus, I’m so good at stuff that you’ll think I’m a psychic. I’ll get work done before there is work to do. I can already guarantee you that I’m better than all your other employees combined. The answer the interviewer is looking for is both self-aware and confident. Your greatest strength happens to be a skill you need to do the job. Your greatest strength sets you apart from other candidates. You show off your communication skills when you provide the answer. Your strongest skills tailored to match those requested in the job offer. I noticed that the job offer listed attention to detail as a desirable skill for the position. I’d say that attention to detail is, in fact, my greatest strength. A couple of your strongest, most relevant skills backed up with success stories. My greatest strength is my writing skills. I can also work to tight deadlines under pressure. For example, I was once asked to complete a project that fell through the cracks. My editor discovered the mistake two hours before the deadline. It was an important piece that gave our publication a scoop on the topic in question. Not only did the piece have to go out on time, but it had to be perfect. I hunkered down and wrote. The result? The article was on time and acclaimed. A humble answer pointing to a weaker skill. I guess that I’m a strong people person as long as I don’t have to write emails and can talk to that person face-to-face. A laundry list of random skills with no examples of strengths or what it looks like when you put those skills to use. My strengths? Where do I start? I’m great at customer service, organizing stuff, writing, sales, and marketing. Oh! I almost forgot. I can also administer medication to large domestic animals. Worried about the other portions of your big day? Check out our helpful interview advice to be sure you ace your meeting. What are three strengths that you bring to this position? What is your greatest accomplishment or the project you’re most proud of completing? Can you explain how you’ve used that strength to achieve results in your current position? Notice that some of the questions asked in an interview refer to your “current position.” You’ll want to prepare a couple of examples of success that are recent. You’ll also want to prepare for the what is your greatest strength AND weakness question. Continue reading, and you will find out how to answer the "what are your strengths" question. Pro Tip: It’s a good idea to have a few personal strengths and weaknesses tucked up your sleeve Interviewers may ask you to come up with several strengths and weaknesses. That way they can be sure you're not giving memorized answers. Be sure to master your answer to the opposite question: What Is Your Greatest Weakness? The perfect answer begins with the perfect strength. You don't have to memorize the full list. Strengths are work related skills that you need to do the job. So, the best place to start (as always) is your job offer. Underline or highlight all the skills and qualifications that you see listed. What are your skills? Which skills and qualifications are the most important? Have a look at a few other job offers for similar positions. Are any of the skills and qualifications repeated? Look up professionals with the same titles on LinkedIn. What do they list as skills and qualifications on their profiles? Focus on adaptive and transferable skills. Notice that adaptive skills are pink and transferable skills are blue. We’re going to ignore mandatory job-related skills for the moment. Job-related skills are those you need to do a job. For example, programmers need to know programming languages such as Java and Python. Truck drivers need to drive. Cooks need to cook. Dancers need to dance. You get the idea. I can say with certainty that you’re not headed off to an interview if you don’t have the job-related skills. You won’t want to answer the "what are your strengths" question with a job-related skill. My greatest strength is my written communication skills. My greatest strength is administering assistance. See, transferable skills (those in blue) are things you can use at any job in any industry. A good example from our job offer is excellent written communication skills or management skills. Writing is a desirable skill for almost any job. If writing is one of your strengths, you might want to choose it as an answer for the "what are your strengths" question. But what about the adaptive skills? Adaptive skills are also known as “soft skills” or personal skills. Good examples include persuasion or confidence. Now, make a master list of your skills. 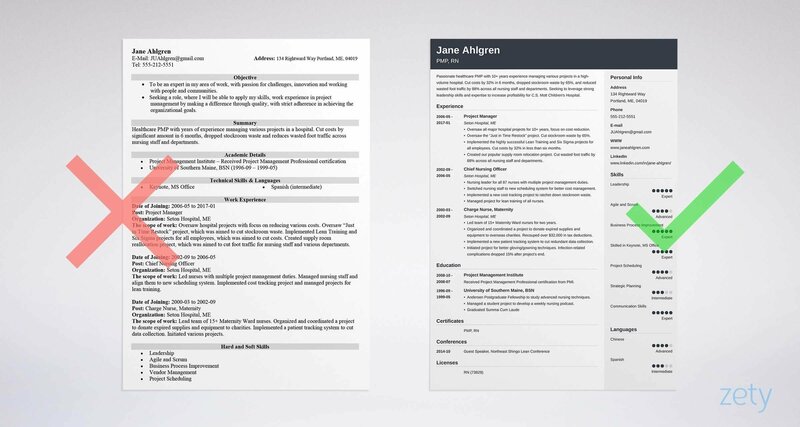 Did you make a master list of skills for your resume? You can dig that back out and recycle it. Look at the list of your skills versus the list of skills from the job offer. Which five are your strongest skills? Once you’ve chosen your strongest skills, think of a time that you used that skill for your job. Did your strength earn the company money? Did your strength save the company money? Did a supervisor ever pat you on the back because of your strengths? Did you ever get an award outside or inside your company? For each strength think of a success story to illustrate the impact you have when you use those skills. "What are your strengths" example answers should always include proof. Finally, you’ll want to write out each success story using the STAR method. The STAR method helps you remember how to talk about your accomplishments. Ability to multitask in a constantly changing environment. Situation - Over a six-month period, I had to assist ABC company in two major reorganization projects. First, the company went through a merger. Next, we moved our headquarters across town. Task - My role during the merger was to reorganize the filing system. The new filing system had to be in place before we moved. Second, I spearheaded the move to the new headquarters. My responsibilities included packing up the office and coordinating with the movers. I also had to keep everything within budget. Action - I had to learn the new process quickly and work under pressure according to tight deadlines. So, I dedicated time after hours to learn the new system. I watched online tutorials and read the manuals front to back. I paid close attention to details. For the move, I chose a moving company that had helped other companies in our building move. The company had also worked with me in my previous role and offered a discount. Result - The time I dedicated to learning the new filing process paid off in the end. It took me half the time expected to put the new system in place. That allowed me to focus on moving the office. I became an expert in the new filing system, and my supervisor chose me to teach the process to everyone else. My choice of moving company also made the transition to the new office smooth. Pro Tip: Notice how the candidate included almost all the skills from the job description. You don’t have to focus on one strength when you tell your success story. You’ll want to identify and have stories ready for a few personal strengths. The interview can follow up the "what are your strengths" question by asking for more examples of strengths. With that in mind, our Administrative Assistant candidate will want to prepare. Here’s an example of a second strength for the same candidate. One of your personal strengths tailored to match a skill from the job description. Plus a success story told using the STAR method to illustrate the impact of your strength in action. My greatest strength is my people skills. Part of that comes from my ability to maintain strict levels of confidentiality. She follows up with another skill from the job description. Two birds, one strength. At my last company, we worked with several large corporate clients. For a significant industry event, my supervisor asked me to book travel arrangements. She starts her example with a situation. She then references the work she did for large corporations. She noticed the job offer asks for experience in a corporate environment. So, she makes a point to refer to her experience in her "what are your strengths" answer. The task required me to form relationships with other admin assistants. I also had access to sensitive information. The task refers to the two personal strengths mentioned in the beginning. I earned the trust of both internal and external executives. They heard that I was the preferred point of contact for their assistants. They praised me for my discreteness and excellent written communication skills. They also noticed that I am Internet savvy. I booked the best deals without compromising on quality. Here the candidate draws on additional skills. Don’t be afraid to mention several skills from the job description if they fit. You don’t have to remember everything. Practice will help you fit in additional skills over the natural course of the conversation. After the event, my supervisor chose me to coordinate travel arrangements. So, I continued to work from then on with our executives and our largest confidential clients. The candidate shows the impact of her personal strengths. Her superiors chose her to work with the company’s largest corporate clients. That’s how you answer the "what are your strengths" interview question. Well, I’m not all that bad at throwing together an Excel spreadsheet. I can do a Powerpoint presentation now and then. I guess my other strengths are making coffee, stapling things, and typing. Oh yeah, and I can open emails, talk on the telephone, send emails, and use scissors. The candidate here uses words and phrases that undermine his confidence. Words and phrases like “not all that bad,” “now and then,” and “I guess” show weakness and hesitation. Also, notice the laundry list of random skills. Anyone who works in an office can staple and use scissors. Most preschool children can. Pro Tip: Don’t hedge. Use strong, confident words. Turn “not all that bad” into “my greatest strength is.” Answer in a concrete and sure way. Practice your answers with a friend so that you can find out how you’re coming across before the interview. The key to answering the "what are your strengths" question is tailoring. Choose a strength that matches the skills that you find in the job offer. To be honest the all the best answers to interview questions require tailoring. But a perfect answer also includes a success story. Your story needs to show the impact your strength can have on your results. Focus on your best skills and achievements. Answer with self-awareness and confidence. Do this, and you can survive even the zombie apocalypse of job interviews. Still not sure how to talk about your strengths during an interview? We can help! Leave us a comment and we will help you identify your best strengths before the big day.